Julie Geigle is an international psychic medium and gifted channel of Archangel Metatron. She teaches people on a spiritual journey how to find inner peace and live the happiest version of themselves. 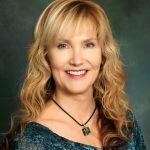 Julie is the creator of Lightworker’s Academy, online courses designed to usher in the golden age of enlightenment. You can find Julie’s safe haven at heavensenthealing.us and create more joy with your free Manifesting Miracles guide.